Posted on Tuesday, August 5th, 2014 at 11:43 am. The Define phase of DMAIC involves defining the problems in a process, the goals of a project, the resources available, and so on. 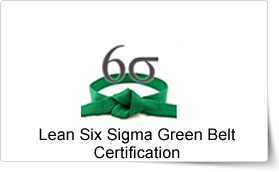 To gain comprehensive knowledge of DMAIC and other Lean Six Sigma methodologies, join Lean Six Sigma Green Belt Certification Training Course by pdtraining in Chicago and other cities in the U.S.
To improve a process, first problems, errors and/or defects that are leading to its low performance need to be identified. Define is the first phase of DMAIC (Define, Measure, Analyze, Improve, and Control) that specifies the business goals, the timeline and scope of a Lean Six Sigma project, and other expectations from the project. Defining is a vital part of DMAIC, as it provides a clear understanding of the present status and availability of resources, and also the outcomes that need to be achieved from a project. It ensures that there are minimal differences between expectations and the results achieved. This first step of DMAIC establishes primary rules that help a company to implement a Lean Six Sigma initiative for process optimization. It concentrates the focus on the crucial factors that must be impacted by the project or factors that will impact the project. Many times, to correctly define objectives and predict outcomes, companies conduct customer surveys (internal and/or external) or investigate their present systems to gather important data, that is then used to set goals. Lean Six Sigma is flexible and can be applied to a company in any industry. The systematic and highly effective approach has led many companies world over to drastically improve their processes, leading to higher production, better quality and lesser costs.